Rock’s essay and the entire contents of the Journal of Jesuit Studies are freely accessible due to the support of the Institute for Advanced Jesuit Studies. Brill publishes the journal among its other journals in Open Access. 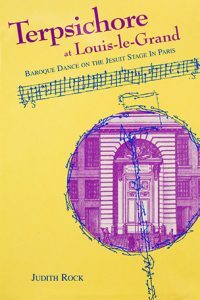 Rock has also published a volume on baroque dance in Paris, available through jesuitsources.com. Terpsichore at Louis-le-Grand and other titles are available for 30% off with the discount code 30JESUITPORTAL. The discount expires June 30, 2017.